World of Dinosaurs the ultimate dinosaurs resource is the comprehensive dinosaur resource for iOS and features original Ultra HD (4K) Illustrations, and a wealth of scientifically verified information about all dinosaurs past, their history, extinction and modern-day ancestors. World of Dinosaurs takes advantage of the fact that we are currently living in the golden age for dinosaur discovery and presents comprehensive information based on the latest discoveries and scientific theory, within a beautiful multimedia presentation. World of Dinosaurs includes amazing high-definition original illustrations by Mohamad Haghani, which along with the accompanying information creates the ultimate dinosaur resource covering dinosaurs of all time, discovery, extinction and even dinosaur ancestors still alive today. World of Dinosaurs is also an experience that children will love and the easily readable articles and immersive experience can even encourage younger users to discover the joys of reading. 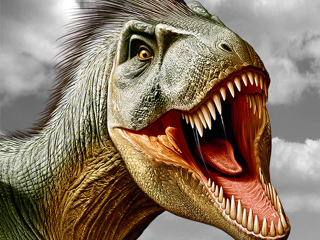 • AR Dinosaurs: meet alive dinosaurs in person. • Stunning & original dinosaur illustrations compatible with high-definition retina devices. • High-quality Dolby audio containing scientific approximations of the sounds made by dinosaurs and their environment. • Scrollable backgrounds using the device gyroscope. You need to move your device in the left or right direction to scroll with the gyroscope, double tap on the screen to change scroll mode. • Information about plant or meat eaters. • An easy to navigate table of contents, including meaning, pronunciation with voice, size comparison and more. • Apple Watch application, a mini dino app on your wrist! 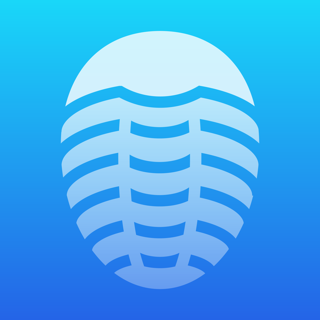 • 3D Touch: Get quick access to Dinosaurs, Discovery, and News from the home screen by pressing on the WOD icon. • News: You can follow the ​latest dinosaurs' news. 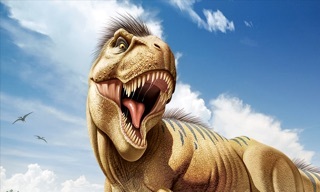 • Dinosaurs Widget: See random dinosaurs info in today widget center. • "Hey Siri, show me a dinosaur". Siri knows about dinosaurs even better than you!. World of Dinosaurs now includes Siri shortcut just ask Siri to show dinosaurs information randomly. + Paleontologists: Learn about the most famous paleontologist of all time. • Fossil Location: See where the fossil of dinosaurs found on the map. • Diet: Dinosaur diets and feeding behavior including carnivorous, herbivorous, and omnivorous forms. • Dinosaur Family Tree: Ever wonder how dinosaurs evolved? Check out dinosaur family tree in discovery menu. 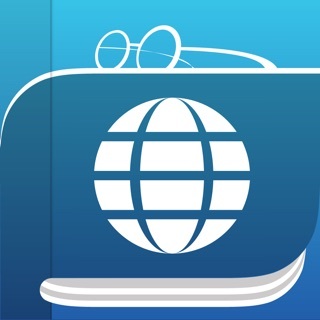 • VoiceOver: Enabling voiceover helps you hear the information when you tap ⓘ. OK, as of August 22, 2018, I just updated to the latest version and now it won’t let me do anything but change the icon. Not sure what is going on, but I even restarted my iPhone and it made no difference. Any advice on how to solve this issue would be greatly appreciated! Thanks!! August 23, 2018 update: Great job getting the bug in version 6.4 fixed!! A very fast turnaround that really earns a lot of praise for your efforts; well done! We are sorry for that issue. Please update the latest version (6.4.1) to fix the problem. We would be grateful if you edit your rate and review. Thank you. Worst app I have ever purchased. Not worth anything unless you are under 5 years of age. I really expected more from this app. It should not be under reference. I was looking for an app that could provide easy alphabetical access and this was not it. Preview images are misleading. Edited to respond to dev: I am accessing this app on the iPhone X. After dedicating more time than this app is worth to see if the 🔍 would appear on any part of the app, I finally managed to access it under very strict and specific circumstances. You must go to the pull up menu and click back on “dinosaurs” this will bring up the panoramic image and the 🔍 will appear- if you move your phone or touch anywhere else the 🔍 icon will disappear (doesn’t matter if you are using the accelerometer view or scroll view). It does not appear under any other circumstances or on any other page or even in the pop up menu (where it belongs). I have sent screen shots of this issue directly to the devs and I hope they will fix this. Until this is fixed the app is not worth it and my one star review will stand. The 🔍 icon should not be an Easter egg that the user has to find. I paid for this app and I want to be able to use it as an educational resource. I want it to work. I would be more than happy to amend the rating and review if and when it becomes what it claims to be. Which part of the app doesn’t work? We explained you via email, if you have other problems please contact us. I bought this game, as I love animals and dinosaurs. I thought it would be beautiful pictures and detailed explanations of the dinosaurs. Only to open the app to find, "Become a palaeontologist to have access to full content!" after about 5 dinosaurs. But that's not the big issue. I was like "Ok, guess I will just get this too." But of course there had to be an issue with THAT. All I see is "..." and "Restore Purchase". I'll wait until tomorrow to see if this is fixed. If not, this app is going extinct on my phone. EDIT: The update you released is working great! I now don’t see the “For the full version” button. All I see is a lot of dinosaurs! Rating from two stars to 5 stars. We are truly sorry for this bug. A new update is on the way to fix this problem.